Just this past weekend, I discovered a new addition to the seemingly endless content on Netflix. There’s dozen of fantastic shows & documentaries about food available on there, many of which are Netflix series, but this new original series really caught my eye. Then, once I watched it, it’s like my eyes glazed over and my stomach got all warm, I swear I was floating off the bed. I love food, Fangirls. It’s something I’m pretty passionate about cooking, eating, and learning about food. However, something I’ve taken to recently is learning more about outstanding chefs. Chef’s Table has come right in time for me. 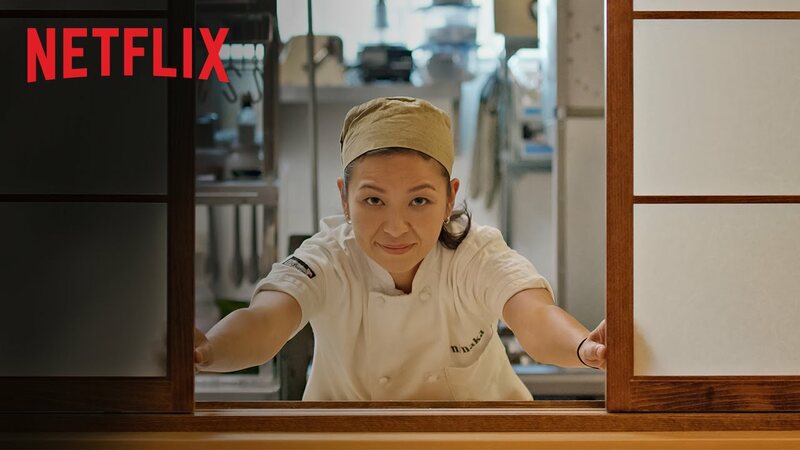 This series takes you much, much more in depth that any other show about chefs. Looking back on documentaries or episodes of shows I’ve seen that have met and really gotten to know chefs & their food, they now to seem to only scratch the surface. This new series takes a much more personal look at chef’s, and without really knowing it, you begin to understand how a chef’s life and personality is really reflected in their food. I always thought there was a strong correlation between the person cooking and the food being cooked. Most obviously cuisine & culture have a lot to do with it. But Chef’s Table shows you that it’s more than just heritage, taste, or background. They show you that the chefs morals, their experiences, their values, what is deep in the core of their personality, really does come out so much in their food. Or sometimes, things that they lack are present in their dishes as well. For instance, one of the episodes goes into the life, mind, and food of Niki Nakayama. She’s a more soft spoken, delicate sort of person. She has strong will and passion, but is careful to not step on any toes. She will get to where she is going, but more behind closed doors. Her food however, though still delicate, is very bold, colorful, and intense. She even says her self that she shes traits within her food that may be within herself, but that she does not wish to express. I think that is just the darn coolest thing. Food becomes almost personified in this show. As you learn more about the lives of the chefs, you see why their food is what it is. And you really learn a lot about these people’s live’s. We don’t just learn the basics like where they were raised, where they studied, how they learned to cook. We get into the nitty gritty. They talk about their home environments, how they were raised, their relationships with their families, and some real introspective moments. For example, in one of my favorite episodes, we observe Francis Mallmann, a fascinating chef who cooks predominately out in nature, with open fires. his food takes a lot of time and labor; building fire pits or ovens, slowly preparing all the food to be cooked. It’s lovely to watch, it’s rather romantic, and though it is very simple food, because of it’s process, it’s also pretty indulgent. We learn that Francis is a very free man, picking up and leaving one thing once he is bored of it, despite his family being settled. He spends a lot of time away from them, out in the woods with his food family, creating these meals. He seems, and admits a bit, that he is rather selfish. He like his food is so interesting, raw, and artistic, yet it is so indulgent. Once again, the food represents the chef perfectly. I just adore this show, Fangirls. I wish their were more than six episodes. 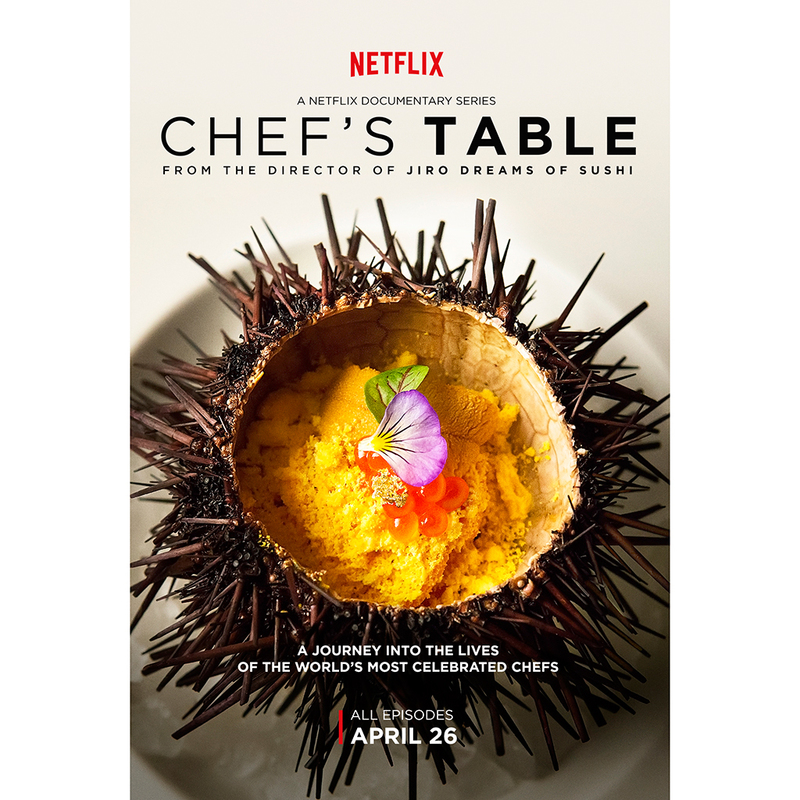 Hopefully, this first season will not be the end of Chef’s Table, as I would like to endlessly get into the minds of chefs and watch them create beautiful food. However, I’ll have a long time to wait until then, and it makes me regret binging so quickly on these episodes. Absolutely watch this show and experience all it has to offer, Fangirls, just maybe not so fast. All images and characters are copyright of their respective owners.